Need Garage Door Opener Repair or Replacement in Ft. Wayne, IN? If your garage door stops working as it should, it can often be a problem with the garage door opener. 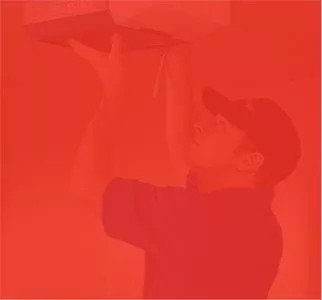 At The Overhead Door Company of Fort Wayne, we offer comprehensive garage door opener service, including garage door opener repair and replacement, to get any issue you’re having fixed fast. We provide 24-hour emergency garage door service. Contact us to have an experienced technician come to your home or building, inspect your system and offer recommendations for a cost-effective solution to your issue. Call 260-205-8509 by 5 p.m. Monday – Friday to secure a same-day appointment. Many issues with your garage door opener can be resolved through repair. But there are times when a replacement might be a better solution. We recommend garage door opener replacement if you have an opener that was installed before 1993. After that time, garage door openers were required to have a safety reversing mechanism and other much more advanced security features. It may also be a good time to invest in a new opener if you do not have a battery backup system and would like one for when the power goes out. Keep in mind that the average opener is meant to last you many years and in most cases can be fixed through garage door opener repair. Our technicians will perform a thorough inspection of your unit and the issue at hand to ensure you get the best solution. We sell and install high quality garage door openers from Marantec for residential and commercial projects in the Ft. Wayne area. There are several options available for residential garage door openers, and we can help you find the best choice based on the type of door that you have, the style and the desired level of functionality. There are four models of Marantec residential garage door openers, each of which contain energy-efficient LED lighting and are known for their quiet, smooth operation. Our commercial garage door opener is fully compliant with the latest requirements and includes safety reversal technology, manual emergency release, a maximum run timer and other features for advanced safety and security in your building. For both residential and commercial garage door openers, you have the choice between a belt and chain drive. The belt drive is known for its extremely quiet operation, which is ideal if your garage is attached to your house, and reliability. The chain drive is a less expensive and still reliable alternative to the belt drive, but may be a little noisier. Ready to Schedule Garage Door Opener Service in the Northeast Indiana Area?